The fourth chapter, or book, or the Qur’an is called “The Women.” It is thematic but not linear. The Qur’anic author cares about Natural Law, Revealed Law, the relationship between God and the sinner, and the sinner’s calling on earth. 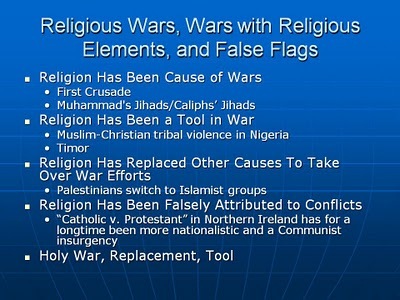 The attacks on the Catholic Church escalate in metaphysical significance. Together these form of guide to what the Qur’anic author views as the good life. Whoever migrates in the way of God will find many havens and plenitude in the earth. Seth lived one hundred and five years, and begot Enosh. 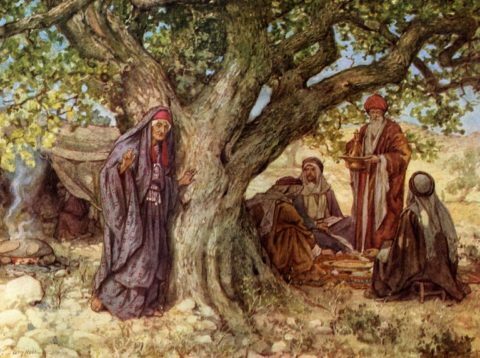 After he begot Enosh, Seth lived eight hundred and seven years, and had sons and daughters. So all the days of Seth were nine hundred and twelve years; and he died. As to others than these, it is lawful for you to seek with your wealth, in wedlock, not in license. For the enjoyment you have had from them thereby, give them their dowries by way of settlement, there is no sin upon you in what you may agree upon after your settlement. God is indeed all-knowing, all-wise. then her first husband, who divorced her, is not allowed to marry her again after she has been defiled. That would be detestable in the eyes of the LORD. Do not bring sin upon the land the LORD your God is giving you as an inheritance. Moreover I swore to them in the wilderness that I would scatter them among the nations and disperse them through the countries, because they had not executed my ordinances, but had rejected my statutes and profaned my sabbaths, and their eyes were set on their fathers’ idols. Moreover I gave them statutes that were not good and ordinances by which they could not have life; and I defiled them through their very gifts in making them offer by fire all their first-born, that I might horrify them; I did it that they might know that I am the LORD. What shall we say then? That Gentiles, who did not pursue righteousness, have attained to righteousness, even the righteousness of faith; but Israel, pursuing the law of righteousness, has not attained to the law of righteousness. Why? Because they did not seek it by faith, but as it were, by the works of the law. For they stumbled at that stumbling stone. He will be as a holy abode, But a stone of stumbling and a rock of stumbling over To both the houses of Israel, As a trap and a snare to the inhabitants of Jerusalem. Then because of their breaking their covenant, their denial of God’s signs, their killing of the prophets unjustly and for their saying, “Our hearts are uncircumcised,’ … Indeed, God has set a seal on them for their unfaith, so they do not have faith except a few. because only through Christ is it taken away. but when a man turns to the Lord the veil is removed. Now the Lord is the Spirit, and where the Spirit of the Lord is, there is freedom. And we all, with unveiled face, beholding the glory of the Lord, are being changed into his likeness from one degree of glory to another; for this comes from the Lord who is the Spirit. There is none among the People of the Book but will surely believe in him before his death; and on the Day of Resurrection he will be a witness against them. Due to the wrongdoings of the Jews, We prohibited them certain good things that were permitted to them, and for their barring many from the way of God. ‘Shipdraggers,’ (v. Rashi). Herford, Christianity in the Talmud, p. 48, suggests that Balaam is frequently used in the Talmud as a type for Jesus (v. also pp. 64-70). 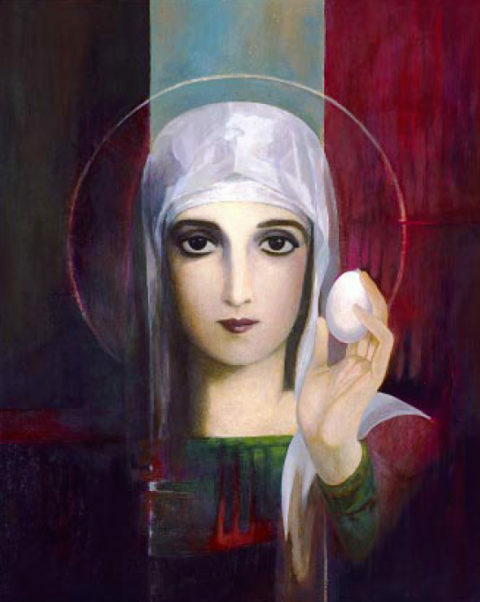 Though no name is mentioned to shew which woman is meant, the mother of Jesus may be alluded to, which theory is strengthened by the statement that she mated with a carpenter. The God of the Qur’an is merciful and forgiving, but not blind. A weakness is not a strength, and a whore is not a virgin. “If a man is found lying with a woman married to a husband, then both of them shall die—the man that lay with the woman, and the woman; so you shall put away the evil from Israel. 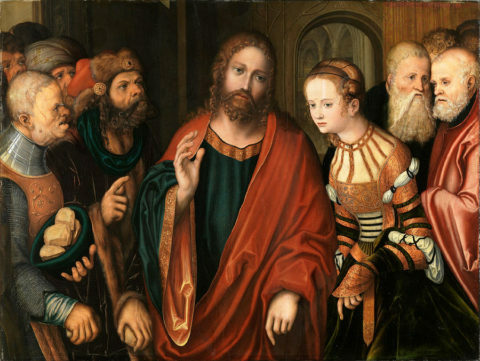 The scribes and the Pharisees brought a woman who had been caught in adultery, and placing her in the midst they said to him, “Teacher, this woman has been caught in the act of adultery. Now in the law Moses commanded us to stone such. What do you say about her?” This they said to test him, that they might have some charge to bring against him. Jesus bent down and wrote with his finger on the ground. And as they continued to ask him, he stood up and said to them, “Let him who is without sin among you be the first to throw a stone at her.” And once more he bent down and wrote with his finger on the ground. The Qur’an’s advice is parallel. “Four witnesses,” is a lot for any crime, and even more for a “lewd” crime which, even in a menage-a-trois, would leave only two witnesses against each participant! Should any of your women commit an indecent act, produce against them four witnesses from yourselves, and if they testify, detain them in houses until death finishes them, or God decrees a course for them. 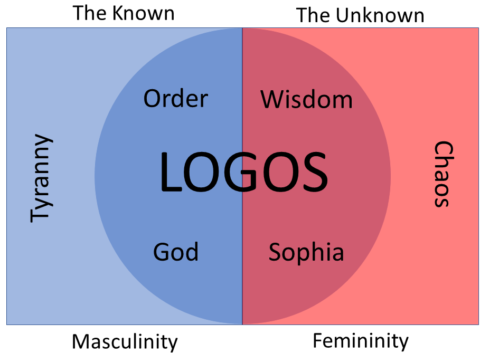 Just as the Logos defeats Chaos by providing wisdom to unordered activity, the Logos transforms Tyranny into the experience of God. Anyone could have executed the whore caught by the pharisees. Christ transformed the situation into an opportunity for penance. Indeed, God does not forgive that a partner should be ascribed to Him, but He forgives anything that to whomever He wishes. Whoever ascribes partners to God has indeed fabricated a great sinfulness. It’s not, at least not in this passage. Elsewhere as we’ll see the Qur’an makes clear it is female partners which are being denied. And the Qur’an’s veneration for Mary makes it unlikely it is attacking the Holy Mother. Rather, the Qur’an is consistently against the one female or females that virtually all Christians consider to be totally necessary in salvation history, and which almost all Christians treat as a partner for God. Hear, O Israel: The LORD our God, the LORD is one! You shall love the LORD your God with all your heart, with all your soul, and with all your strength. O People of the Book! Do not exceed the bounds in your religion, and do not attribute anything to God except the truth. So have faith in God and His apostles, and do not say “Three,” Relinquish! That is better for you. God is but the One God. He is far too immaculate to have any son. and God suffices as trustee. But those who say: ‘There was a time when he was not;’ and ‘He was not before he was made;’ and ‘He was made out of nothing,’ or ‘He is of another substance’ or ‘essence,’ or ‘The Son of God is created,’ or ‘changeable,’ or ‘alterable’— they are condemned by the holy catholic and apostolic Church. But do you notice the partner that is added to the Trinity by the Nicene Creed, but rejected by the Qur’anic creed? A first hint: it’s the only entity mentioned in the Nicene Creed consistently described as feminine in both Scripture and Church writings. Indeed, God does not forgive that any partner should be ascribed to Him, but He forgives anything besides that to whomever He wishes. And whoever ascribes partners to God has certainty strayed into far error. They invoke none but females besides Him, and invoke none but some froward Satan. The Qur’an rejects the Bride of Christ, the Church. Now you are the body of Christ, and members individually. And God has appointed these in the church: first apostles, second prophets, third teachers, after that miracles, then gifts of healings, helps, administrations, varieties of tongues. In the Qur’an the struggle to find God is fundamentally individualistic. It is closer to Jordan Peterson’s intellectual system than either Catholic tradition or, perhaps, Peterson’s own works. The relationship is between the individual and God. Intercession, either of the saints or even of sinners by prayer, is non-existent. The Logos of the Qur’an is fundamentally passive and does not plead or intercede as does the Logos of Christianity, Christ. Indeed, We have sent down to you the Book with the truth, so that you may judge between the people by what God has shown you; do not be an advocate for the traitors, and plead to God for forgiveness; indeed God is all-forgiving, all-merciful. And do not plead for those who betray themselves; indeed God does not like those who are treacherous and sinful. They try to hide from people, but they do not try to hide from God, though He is with them when they conspire overnight with a discourse that He does not approve of. And God encompasses whatever they do. Aha! There you are, pleading for them in the life of this world! But who will plead for them with God on the Day of Resurrection, or who will be their defender? This sounds harsh, but the very next verse emphasizes three-fold aspect of Divinity, Forgiveness, and Mercy. God saves souls, because He made them. Humans didn’t, goes the logic, and so don’t. Whoever commits evil or wrongs himself and then pleads to God for forgiveness, will find God all-forgiving, all-merciful. Others are on the same journey as you. But you do not need them, you do not need their prayers, you do not need their prayers. They are with God, where you want to be, but your destination is to God, not to them. Whoever obeys God and the Apostle — they are with those whom God has blessed, including the prophets and the truthful, the martyrs and the righteous and excellent companions are they! That is the grace of God, and God suffices as knower. O you who have faith! Take your precautions, then go forth in companies, or go forth en masse. If He wishes, He will take you away, O mankind, and bring others; God has the power to do that. Whoever desires the reward of this world, with God is the reward of this world and the Hereafter, and God is all-hearing, all-seeing. every beast of the earth. And for their saying, ‘We killed the Messiah, Jesus son of Mary, the apostle of God — though they did not kill him nor crucify him, but so it was made to appear to them. Indeed, those who differ concerning him are in doubt about him: they do not have any knowledge of that beyond following conjectures, and certainly they did not kill him. And you, being dead in your trespasses and the uncircumcision of your flesh, He has made alive together with Him, having forgiven you all trespasses, having wiped out the handwriting of requirements that was against us, which was contrary to us. And He has taken it out of the way, having nailed it to the cross. Having disarmed principalities and powers, He made a public spectacle of them, triumphing over them in it. So let no one judge you in food or in drink, or regarding a festival or a new moon or sabbaths, which are a shadow of things to come, but the substance is of Christ. Let no one cheat you of your reward, taking delight in false humility and worship of angels, intruding into those things which he has not seen, vainly puffed up by his fleshly mind, and not holding fast to the Head, from whom all the body, nourished and knit together by joints and ligaments, grows with the increase that is from God. But note the end of that excerpt, where Christ is the Head and the body are the members. In the Qur’an, your hopes and prayers do not matter to any soul except your own. It will be neither after your hopes nor the hopes of the People of the Book: whoever commits evil share be required for it, and he will not find for himself any friend or helper besides God. And whoever does righteous deeds, whether male or female, should he be faithful — such shall enter paradise and they will not be wronged the speck on a date-stone. Who has a better religion than him who submits his will to God, being virtuous, and follows the creed of Abraham, a hanif! And God took Abraham for a dedicated friend. Let each of you look not only to his own interests, but also to the interests of others. Have this mind among yourselves, which is yours in Christ Jesus, who, though he was in the form of God, did not count equality with God a thing to be grasped, but emptied himself, taking the form of a servant,being born in the likeness of men. And being found in human form he humbled himself and became obedient unto death, even death on a cross. Therefore God has highly exalted him and bestowed on him the name which is above every name, that at the name of Jesus every knee should bow, in heaven and on earth and under the earth, and every tongue confess that Jesus Christ is Lord, to the glory of God the Father. Very truly, I tell you, anyone who hears my word and believes him who sent me has eternal life, and does not come under judgment, but has passed from death to life. And the Father who sent me has himself testified on my behalf. You have never heard his voice or seen his form, and you do not have his word abiding in you, because you do not believe him whom he has sent. “You search the scriptures because you think that in them you have eternal life; and it is they that testify on my behalf. Yet you refuse to come to me to have life. I do not accept glory from human beings. But I know that you do not have the love of God in you. Say, ‘The enjoyments of this world are a trifle, and the Hereafter is better for the Godwary, and you will not be wronged so much as a single date-thread. Where-ever you may be, death will overtake you, even if you were in fortified towers. If any good befalls them, they say, ‘This is from God:’ and when an ill befalls them, they say, ‘This is from you,’ Say, ‘All is from God.’ What is the matter with these people that they would not understand any matter? and whatever ill befalls you is from yourself. You will not be harmed. You will die. You are a messenger from God. And you are seen by God. The People of the Book ask you to bring down for them a Book from the heaven. Certainly they asked Moses for greater than that, for they said, ‘Show us God visibly,’ whereat a thunderbolt seized them for their wrongdoing. Then they took up the Calf after all the clear proofs that had come to them. Yet we excused that, and we gave Moses a manifest authority. O you who have faith! Have faith in God, and His Apostle and the Book that He has sent down to His Apostle and the Book He had sent down earlier. Whoever disbelieves in God and His angels, His Books and His apostles and the Last Day, has certainty into far error. But when Paul perceived that one part were Sadducees and the other Pharisees, he cried out in the council, “Brethren, I am a Pharisee, a son of Pharisees; with respect to the hope and the resurrection of the dead I am on trial.” And when he had said this, a dissension arose between the Pharisees and the Sadducees; and the assembly was divided. For the Sadducees say that there is no resurrection, nor angel, nor spirit; but the Pharisees acknowledge them all. Indeed, God raised him up toward Himself, and God is all-mighty, all-wise. God — there is no god except Him — will surely gather you on the Day of Resurrection, in which there is no doubt; and who is more truthful in speech than God. Let no one say when he is tempted, “I am tempted by God”; for God cannot be tempted with evil and he himself tempts no one; but each person is tempted when he is lured and enticed by his own desire. Then desire when it has conceived gives birth to sin; and sin when it is full-grown brings forth death. Do not be deceived, my beloved brethren. Every good endowment and every perfect gift is from above, coming down from the Father of lights with whom there is no variation or shadow due to change. Of his own will he brought us forth by the word of truth that we should be a kind of first fruits of his creatures. … because God is all-forgiving, and all-merciful. The most obvious, or at least pruriently interesting, features of “The Women” are regulations around prostitution, lewdness, and a clear pain at insults against Mary. But beyond and behind the women are a clear hierarchy — God, the Book, and you — which obviate the need for any society or any females in the work of salvation. This is a fundamental difference between Qur’anic religion and Christianity. The Church is a partner to God, a created and lesser partner, one on earth that is tainted by sin, one that is essentially feminine to Christ’s masculinity. The spouse of Christ cannot be adulterous; she is uncorrupted and pure. She knows one home; she guards with chaste modesty the sanctity of one couch. She keeps us for God. 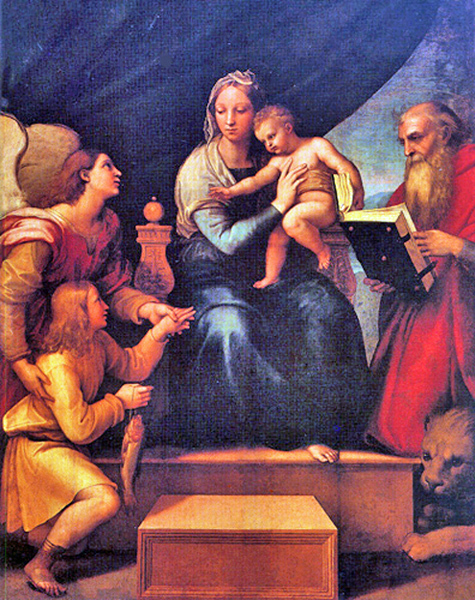 She appoints the sons whom she has born for the kingdom. Whoever is separated from the Church and is joined to an adulteress, is separated from the promises of the Church; nor can he who forsakes the Church of Christ attain to the rewards of Christ. He is a stranger; he is profane; he is an enemy. He can no longer have God for his Father, who has not the Church for his mother. God, you who have established the foundations of your Church upon the holy mountains: Grant that she may not be moved by any wiles of error which would fain compass her overthrow, nor may she be shaken by any earthly disquietude, but ever stand firmly upon the ordinances of the Apostles, and by their help, be kept in safety. 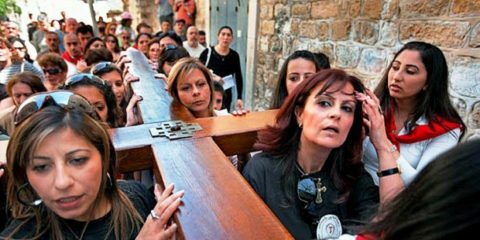 Three centuries after Christ, a Syrian named Nestorius was horrified by those who denied that Christ was truly God. 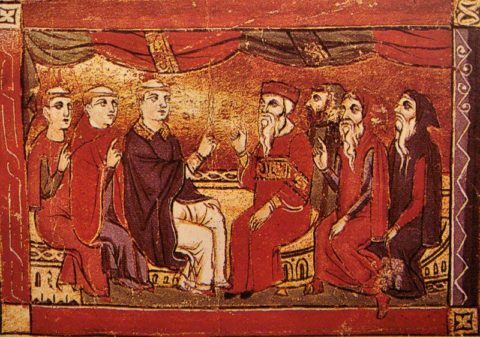 When he became the Patriarch of Constantinople, he ordered the burning of a monestary of Arian monks who believed that Christ was merely the Son of God. Soon, he would go farther and emphasize that Christ was so divine that Christ’s Godly person was not Christ’s human person. Or that is what we recall. 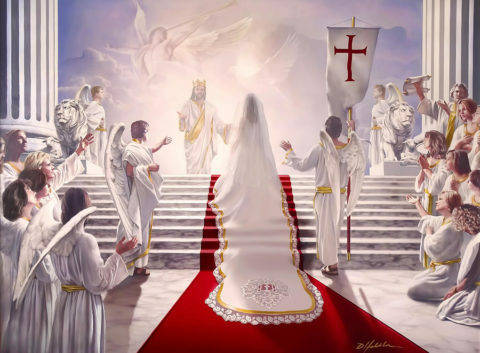 as Christ said after his resurrection to his apostles: “And behold, I send the promise of my Father upon you; but tarry ye in the city of Jerusalem, until ye be clothed with power from on high” (Luke 24:49) and again “But ye shall receive power, when the Holy Ghost is come upon you” (Acts 1:8); being neither God (the Father) nor our God (Christ), but the minister of Christ… subject and obedient in all things to the Son; and the Son, subject and obedient in all things to God who is his Father… (whom) he ordained in the Holy Spirit through his Christ. For this statement is with the title which signifies each nature, Christ… is co-essential with the divinity of the Father. 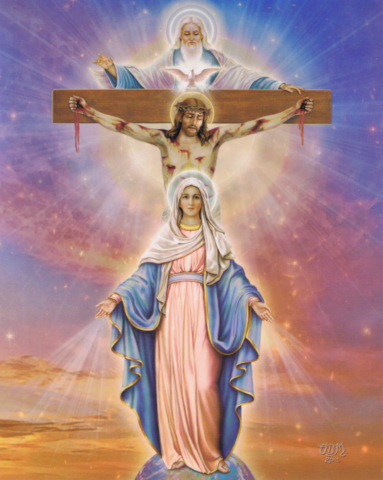 But the humanity born in these latter times is from the holy Virgin; on account of its conjunction with divinity, the humanity is worshipped by angels and humans together. Whatever the motives behind these words, Nestorius was sent into exile, and the Church of the East was founded. This Church for a while was the largest branch of Christianity — a Bishop celebrated the eucharist in Beijing a millennia before Matteo Ricci reached China’s shores, and apostles to India baptized the “St. Thomas Christians” long before Norman Kings reigned in London. 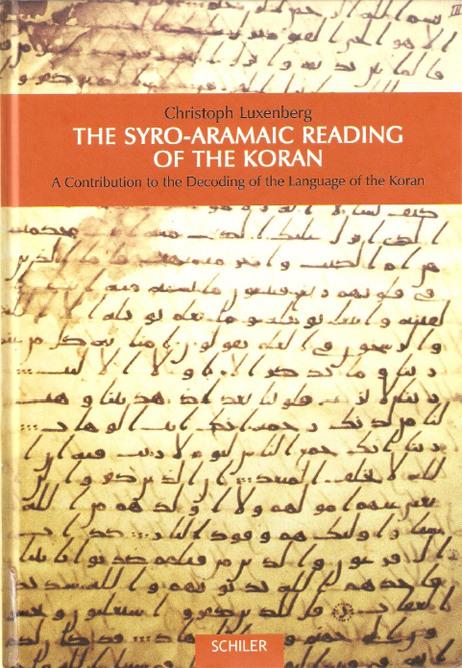 And, if Christoph Luxenberg is correct, a Nestorian lectionary fell into the hand of an illiterate Arab living in an Aramaic town, and became the Holy Koran. In 2000, he published The Syrio-Aramaic Reading of the Koran. He is still in hiding. Luxenberg completely dismisses the hadiths and sunnah (sayings and stories of Muhammad) as either predating or postdating the Koran, and insists on a text only interpretation. Next, he argues the use of Old Poetic Arabic is inappropriate for understanding the vowel-less text of the Koran, and instead the constants shoudl be read as if they are Syrio-Aramaic words. These are the signs of the Book that is clear. Verily We have sent it down as an Arabic Quran; mayhap ye will understand. These are the signs of the elucidated Scripture. We have sent them down as an Arabic lectionary so that you may understand. Round amongst them go boys of perpetual youth, whom when one sees, he thinks them pearls unstrung. Iced fruits pass around them; to see them, you would think they were dispersed pearls. May he then call his clique. We shall call the henchmen. May he call on his idol. He will call on the transitory. and take part in the liturgy of the Eucharist. (while the last time is notably longer in Luxenberg’s translation, the word being translated is “iqtarab”, which is still used to mean “celebrate the Eucharist” in Arabic-speaking churches). There are may more of these examples, but you get the point. The Koran may not be what it is believed to be. Islam emerged from a world where Christianity in schism against itself, and like other splits (such as the Tai Ping or Lutheranism) may descend from a sincere attempt to get to the core of Christianity occulted by Catholic-Orthodox tradition. Sadly, the book assumes a familiar with Arabic and Aramaic I do not have. I cannot judge any of these claims. If Islam did emerge from a Nestorian lectionary, Nestorius’s program backfired spectacularly. Such words will lead to your execution, in the world under what the Lectionary has become. In 1915, the oldest surviving copy of any work by Patriarch Nestorius, The Bazaar of Heracleides — was destroyed by the Turks. This is a really cool follow-up to his earlier presentation, United Caliphates of Europe. Want to buy a Koran at UNL? Religious sensitivity made its way into the classroom early this semester for University of Nebraska-Lincoln students in an Introduction to Islam class. When Michael Huston went to the bookstore to buy a copy of the Quran for the class last month, he learned it was sold out. However, it wasnâ€™t bought out by students from the class. Huston. a senior art major, learned that a few students from the Pakistan Students Association had bought all the books because they didnâ€™t want non-muslim students to accidently deface the Quran. Summayia Khan, president of the Pakistan Students Association, declined to comment. Misuse or defacement of the Quran, which is highly respected within the Muslim faith, can be considered blasphemy. â€œThe concern from the Pakistan Students Association over whether it was appropriate for non-muslims to use the Quran was resolved in a pleasant, collegial conversation between the instructor of the class, the president of the Pakistan Student Association and myself,â€ said Sidnie Crawford, chairwoman of the classics and religious studies department at UNL. Of course, the Pakistan Students Association has a right to protest against non-Muslims handling the Quaran, and they did so peacefully and in a way that brought some coin to the university bookstore. Still, this hardly demonstrates a respect (or even tolerance) for liberty, as their actions were specifically aimed at limiting the ability of those not in their religion from reading their religious texts. Of all the trials that students in the Pakistan Students Association have gone through, joining the Scientologists in hiding their beliefs from others is perhaps the dumbest. Even Britain, which has afforded Muslims a more welcoming environment, has had some worrying moments. A few years back, a Labor M.P. called for an end to â€œthe tradition of first-cousin marriagesâ€ among Pakistanis and other South Asians in Britain. The basis for her suggestion was the claim that Pakistanis in Britain were more likely than the general population to suffer from recessive autosomal genetic disorders. Of course, so are Ashkenazi Jews, but you can hardly imagine an M.P. proposing to limit Jewsâ€™ marriage choices for this reason, especially given the historic Nazi allegation of Jewish genetic inferiority. Canada’s surrender to dhimmitude continues. Ezra Levant has been hauled before a “Human Rights” officer in Canada for the crime of speech. These videos, “I don’t answer to the state” and “Violence in Alberta” are from EzraLevant.com. Hat-tip to The Corner. A blogger faces prison for insulting Islam. Earlier this year, Catholicgauze posted “The United Caliphates of Europe,” which he had earlier presented at the yearly meeting of the Association of American Geographers in San Francisco. In retrospect, it was not a good idea to have left his pistol at home. Called to the scene of a traffic accident in the Paris suburbs last Sunday, Jean-FranÃ§ois Illy, a regional police chief, came face to face with a mob of immigrant youths armed with baseball bats, iron bars and shotguns. The 43-year-old commissaire realised it was time to leave, but that was not possible: they set his car ablaze. He stood as the mob closed in on him, parrying the first few baseball bat blows with his arms. An iron bar in the face knocked him down. â€œI tried to roll myself into a ball on the ground,â€ said Illy from his hospital bed. He was breathing with difficulty because several of his ribs had been broken and one had punctured his lung. His bruised and bloodied face signalled a worrying new level of barbarity in the mainly Muslim banlieues, where organised gangs of rioters used guns against police in a two-day rampage of looting and burning last week. No one should be surprised that several of the (latest) British terrorists are highly educated Muslims. Two years ago, a respected special ed teacher was one of the 7-7 bombers. While we disagree with Osama bin Laden’s goal of “civilizational apartheid,” it nonetheless may be wise to minimize the globe’s commerce with the Arab world while pushing as much humiliating feedback to her as possible. “Modern Islam is Radical Islam,” indeed. This is the fault of a deeply sick Arab world that we must do our best to transform into something human. No central thread to today’s links, other than that they touch on topics previously discussed. Hamas stages a false-flag operation against Mickey Mouse on children’s television (hat-tip to Drudge Report). Still, Islam is the answer. The Metropolis Times join Econolog, gnxp, PurpleSlog, Unqualified Reservations, and myself in discussing New Atheism as a form of Mainline Protestantism. ZenPundit links to Scientific American articles on punishment and economic irrationality. I’ve studied the same things with lower-tech tools and reported the results on this blog, twice (see “The Wary Guerrilla” and “The Wary Student“). Lastly, my perl net:ftp upload problems go away when I try under another ISP, meaning that Lincoln’s Time Warner (which is already in hot-water for bad service) is the problem.